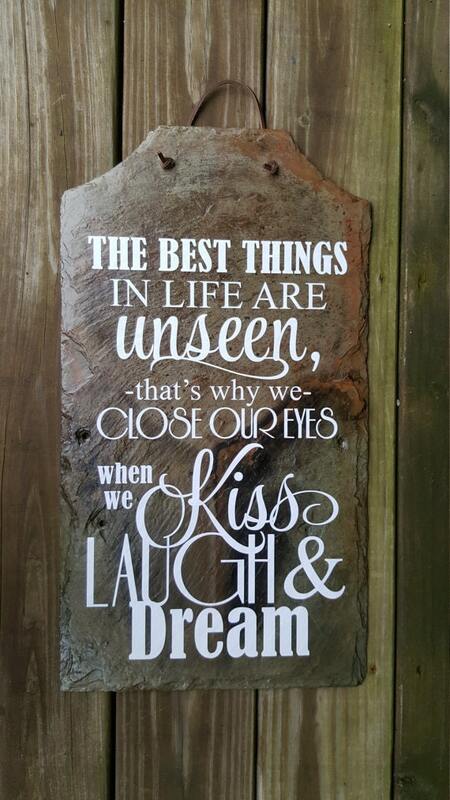 The Best Things in Life are Unseen. 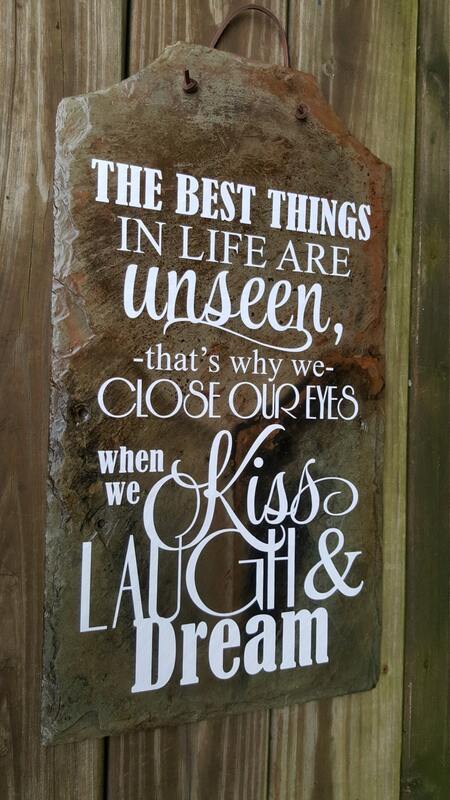 This beautiful slate sign would make a great Housewarming Gift. 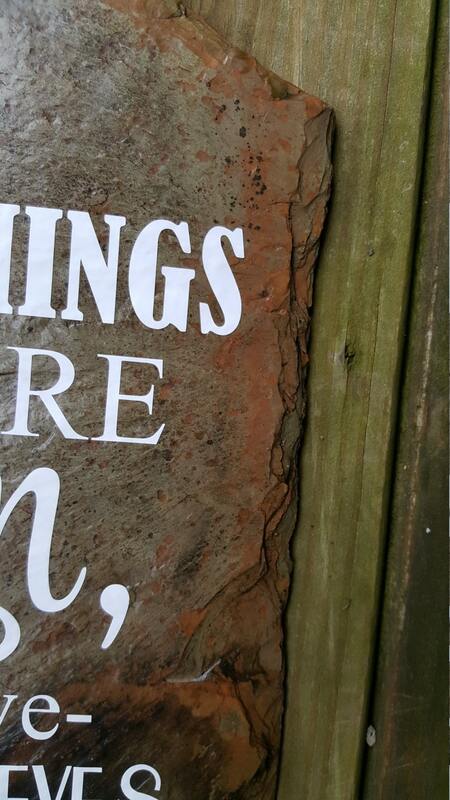 A unique and treasured Wedding Gift or Anniversary Gift. It would also be a beautiful and Romantic Gift to accent any Bedroom Décor. These beautiful slate came from a barn in Slippery Rock, PA. Each one has unique color variations and therefore no two are alike. 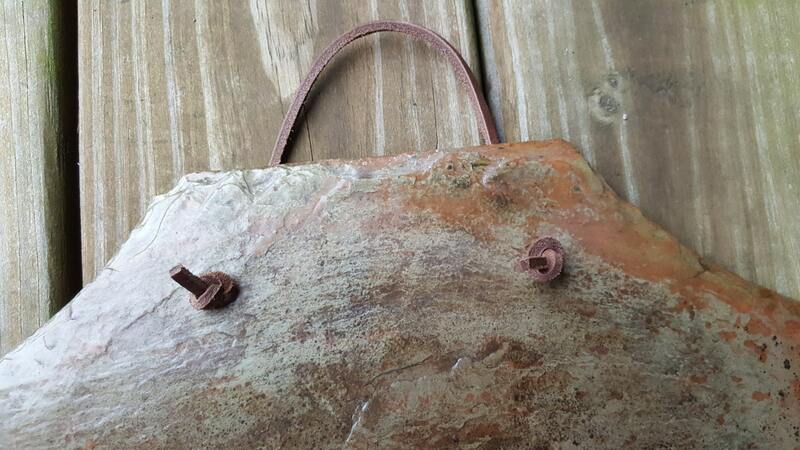 We drill holes at the top and tie a leather lace so that you can hang the slate easily.